Even though the housing market continues to trace an upward path, foreclosures do still occur—and Northeast Florida home auctions are sometimes the result. It means that there are still some good distress bargains to be had, particularly if you are interested in buying a home at auction. Television shows like HGTV’s Flip or Flop portray the “nail-biting” drama and money-making side of buying a home at auction—sometimes inspiring home buyers to try their hand at the enterprise. But what is sometimes underplayed in such TV presentations is a fact well known to seasoned Northeast Florida home auction veterans: namely, that home auctions involve significant risk. If you have never attended a Northeast Florida home auction before, the process can be fairly straightforward. 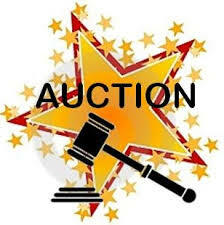 Homes set for auction are listed publicly or made attainable through a paid auction service. Once the auction starts, you will have the opportunity to bid on the property, competing with other buyers either online or in person. Auction properties are usually offered on a cash-only basis, which eliminates would-be bidders who would depend on a bank loan or mortgage; but where auctions do allow financing, it’s a good idea for serious buyers to get pre-qualified ahead of time. Participating in a Northeast Florida home auction can be a great way to get a new home without spending as much as you would in a traditional purchase—but doing as much preliminary investigation as possible is just common sense…and if you can’t afford to buy a property in poor condition, you should certainly restrict yourself to auctions that allow inspections. While agents cannot represent you at a home auction, if you are interested in investigating further I hope you’ll feel free to contact me anytime. I’m here to answer all your Northeast Florida real estate questions—and to help the buyers I do represent find the homes of their dreams!